I’ll never forget Louie, the head caretaker at the school where I was Principal. He used to always say, as we were heading to a classroom, “You move so quickly. I can never keep up with you!” If Louie saw me today, he still wouldn’t be able to keep up with me. But instead of zipping around a school, I’m running, biking, paddling, hiking or walking long distances in France. I’m an active boomer on a mission. 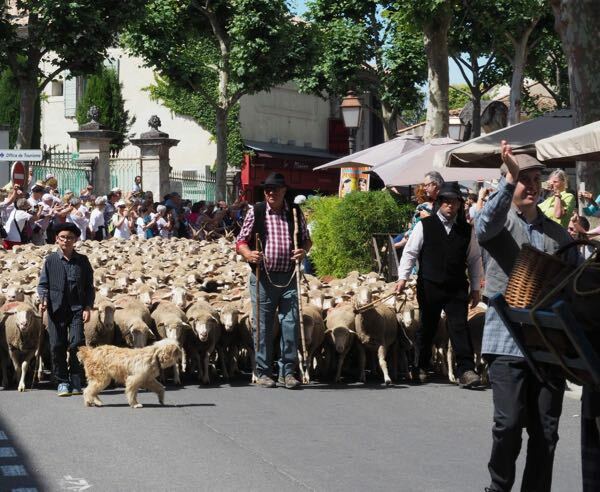 One of the wonderful things about France is that there are so many things to do for the active boomer….or traveller of any age. Even though I’m a boomer (aka “baby boomer” who was born between 1946-1964), I don’t act look my age. I think it’s the Chinese genes (and hair colouring). But really, I think a lot has to do with keeping active and that includes being active when travelling. Food is my reward for doing an activity. While running 42.2 kilometres (a marathon), I think about the foods I will eat. One burns almost 3000 calories in a race so one can eat just about anything after a race. But I must confess, after running that long, one doesn’t have an appetite but day dreaming about food is always fun. 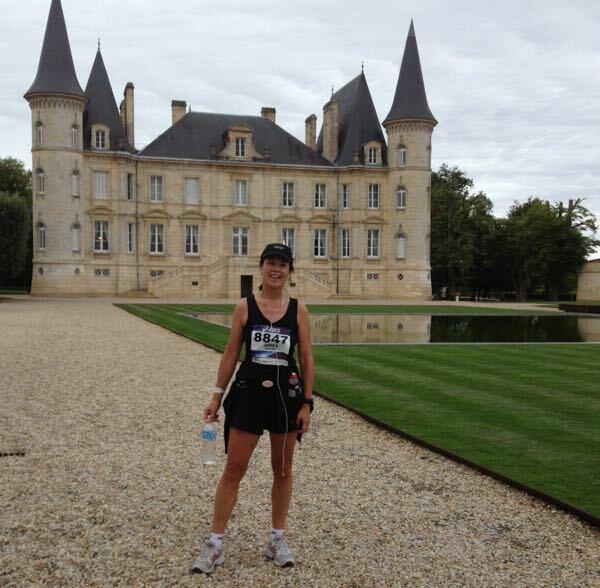 One of the most memorable races was the Marathon du Medoc. Runners do not do this race to get their best time. We run it for the wine. Yes, there is wine at every one of the 22 water stations. Little sip of wine, little water, little food (like granola bars, grilled beef, or oysters) and off we go through vineyards and past famous chateaux. It’s a big party and one of the most memorable things I’ve ever done. THIS was an active experience worth doing. When I ran the Paris Marathon, one of the hardest things (besides running) was passing a restaurant that was preparing the dishes for lunch. I vividly remember the time and place. I had run just 32 kilometres and I was near Bois de Boulogne on Rue Molitor when all of a sudden I smelled roasted chicken. It was glorious. The memory brings back the aroma. Heaven. THAT kept me going for another 10 kilometres. That’s not to say you need to run a marathon. France has all types of races ranging from 5 km to ultra marathon (over 42.2 km) . 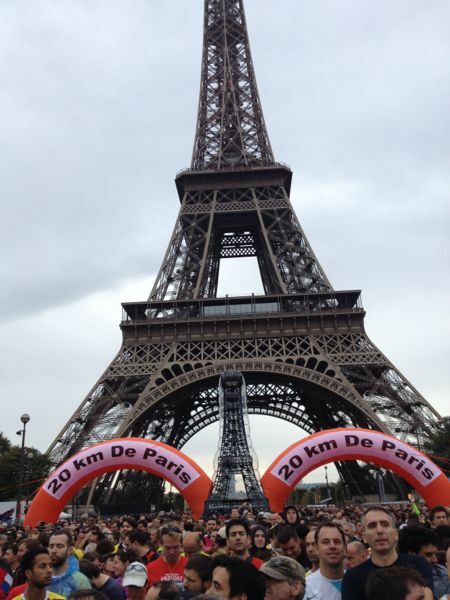 I’ve done the “20 km de Paris” twice and it starts at the Eiffel Tower. You could even join a runner group’s meetup. In Paris there is the Paris Hash House Harriers (“A drinking club with a running problem”) and they meet every Thursday night and Sunday morning. If I can’t find a running race that fits my dates, I will look at a region and investigate where I can do some outdoor activity. I’ve done some hiking in Utah, the Grand Canyon and in Cinqueterre, Italy and hiking in the French Alps is one of my favourites. 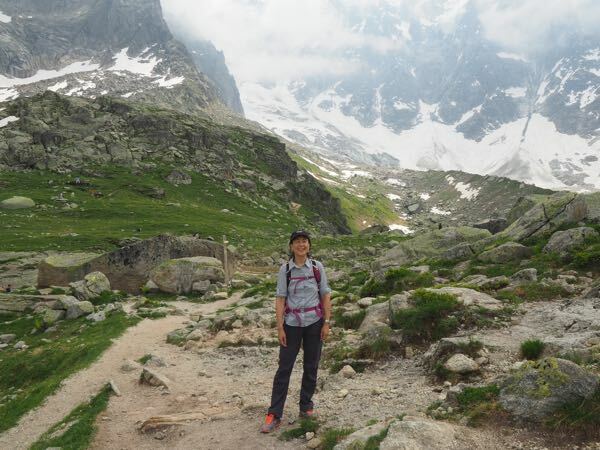 In France, the Pyrenees and the Auvergne would also be great areas for hiking or skiing. In fact, many say that the Auvergne is France’s best-kept skiing secret: The Guardian article. 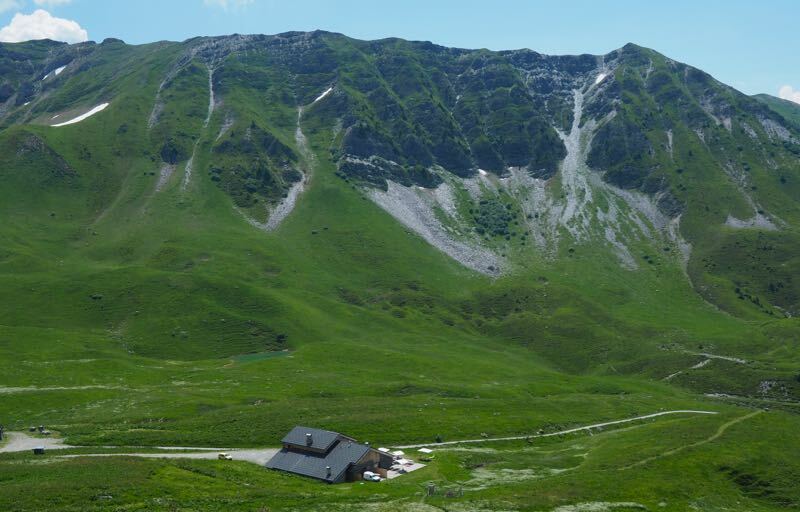 In the French Alps, the hike near the bed and breakfast Chalet Savoie Faire where I stayed had an amazing hike up to Le Refuge du Nant du Buerre and Le Grand Cretet in July. It was a leisurely 2 1/4 hour hike with a delicious lunch at the refuge. My reward for making it. In the distance one could see Mont Blanc. Hiking down to Chamonix from Plan de l’Aiguille was more challenging, but the views were just as good. I’m not a seasoned hiker, so someone who does hiking would likely find this easier. Along the way I will stop at a museum, cafe, store, restaurant or park. 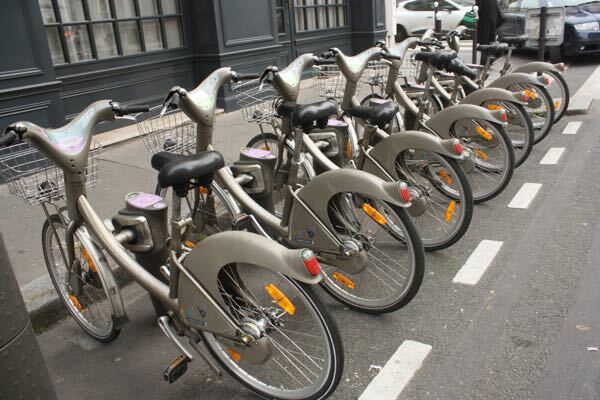 But everything is on foot….or by bicycle if I rent a Velib. Rarely will I take the Metro. 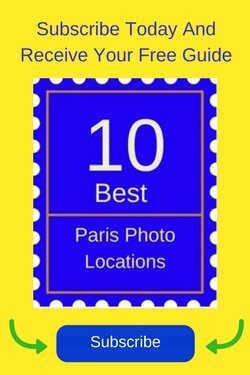 Paris is too beautiful to miss underground. Plus, I’m less guilt-ridden when I indulge in a pastry or an extra glass of wine when I have been “on the move” all day. 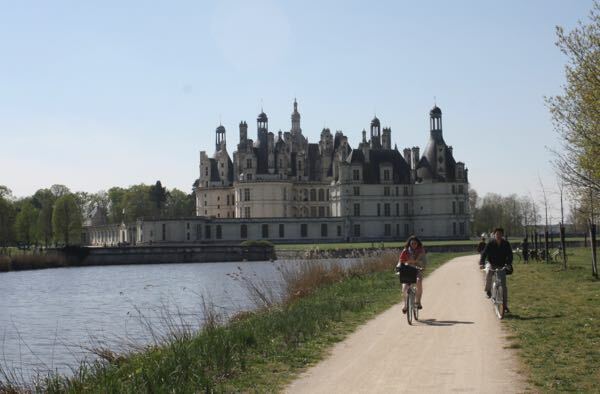 I’ve written previously about biking in France and have done two tours. One thing I’ve learned is that I prefer not biking from 9-4. While we did stop at wineries or for a picnic lunch, arriving in town at 4 pm left little time to explore the town and area. France has water on its three borders: the Mediterranean Ocean in the south, the Atlantic Ocean on the west, and the North Sea to the north. When I was in Biarritz, located in the south west, just south of Bordeaux, there were were hard-core surfers riding the waves. Supposedly Biarritz is known to be the surfing capital of France. If you’re not up to that, there are so many places for great swimming and kayaking. When I have been in Provence, I have rented a kayak with friends where we paddled our way down the Gardon river, underneath the Pont du Gard. I could do this activity again and again. Not only is it beautiful, it’s easy! No rapids. Just an easy sail down the river. And you can stop along the way and have a picnic lunch. 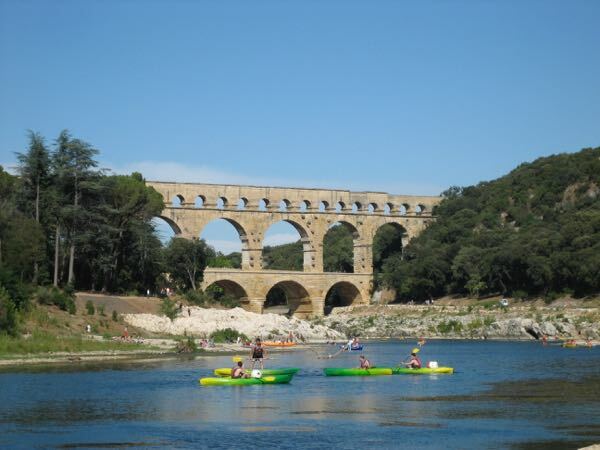 Post: Paddling A Kayak Under The Pont du Gard. Are YOU an active boomer? What do you like to do when you travel? I’m definitely an active bloomer and I just love looking at architecture. I must say, you definitely don’t look your age. Great post. I am not a runner but I do like to walk a lot when I travel. It’s the best way to explore and keep active. Not sure if I’ll be running into my 80’s so I’m mixing it up with walking, biking, and hiking. Janice, you’re amazing! Marathons, too?! (Inferiority complex is setting in now). Although I do agree with you one not thing we having in common: travelling is probably when I’m most active, too. It all boils down to the fact that when you are seeing things that thrill you and keep you curious and looking for more, you don’t even realize you’re walking or getting exercise. So I’ll be taking my ‘fit/fat bit’ with me and proving that on our next trip! So true about not even realizing you’re exercising. Looking forward to hearing how you did 25,000 steps in Portugal! Have tried all those (okay just 10km) but I like variety. Little bit of all those activities on a given vacation makes for a great experience. Isn’t that what we truely want? What makes doing these activities in France unique is that they always involve wine – Before, During or at the End. There is always so much walking to be done in Europe and I welcome it! I love the route you outlined in Paris, and would more than likely do a similar one (although perhaps not at your pace). I love biking, too. We did e-biking in Spain and I’d love to do some of that long distance. Certainly I do stop along the way (anyone for a chocolate croissant or macaron?) so the walk is even more enjoyable! 42.2 kilometres!!! Wow, I’m super impressed! I really need to ramp up my activity level or at minimum the speed at which I walk. 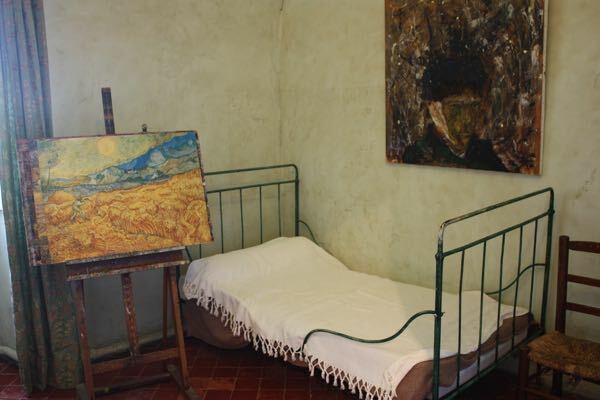 I packed on a few pounds in Italy that are still with me. No one can resist Italian food…or French food, for that matter. 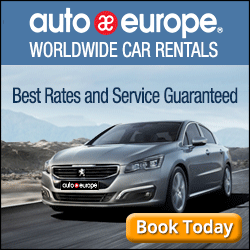 Am impressed to learn about all these other ways to get around in France besides walking! 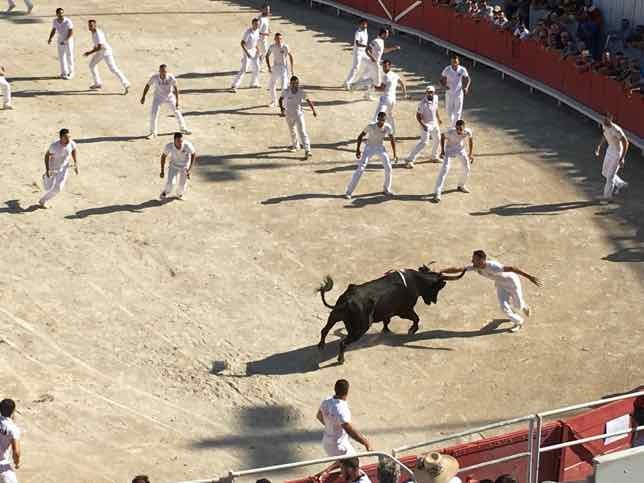 So many fun ways to see France. Tell Louie not to feel badly. I couldn’t keep up with you either! Chinese genes. What I’ll be like in 20 years is anyone’s guess! Great post! It’s fabulous to find ways to be active in different cities and parts of the world: combining fitness with travel. Makes it easier to indulge in the great cuisine! Great post on how to stay active while traveling for us boomers! 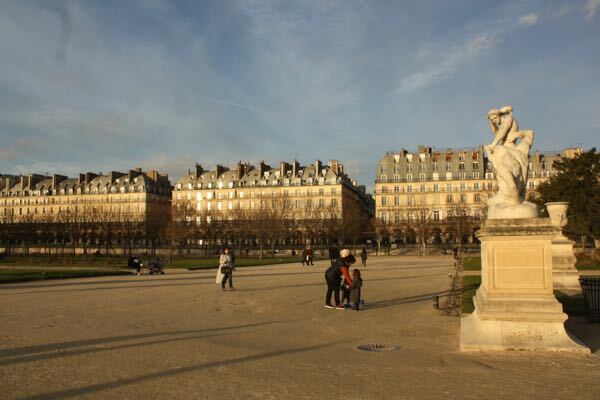 While running is no longer an option for me walking is and I agree walking all day in Paris is a pleasure and a way to keep up with all that eating. I’m certainly slowing down as I get older and find long runs tough on the body, so biking and walking are also my solution. I’m very impressed that you’re that active! I tend to the lazy, generally immobile end of the spectrum at home, but when I travel I want to see EVERYTHING, so I walk for hours. I’m always in better shape when I return home than when I start a trip. Me too! Travelling has more benefits than we even realize. Haha! I look at it this way: what can I NOW eat worth 3000 calories! I totally agree, however, that while we are able to we should travel. Sadly there will come a time when it is too difficult. 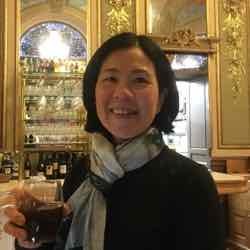 My big activity while traveling is walking (and gentle hiking). I’m in awe of your energy. 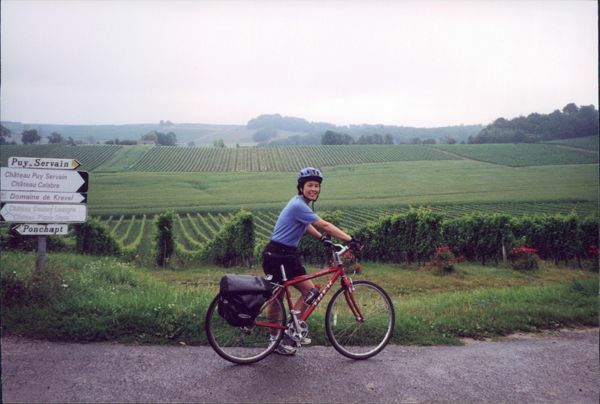 Great tips for active boomers who want to stay in shape while traveling in France. Sadly I am slowing down and I am taking up hiking to compensate!